Here you go @Chuck Bridges, an inspirational video for you to get that Mantis. A good tactic can be for you to use the Mantis commands on your wife. She may grow tired and let you buy one as long as you leave her alone. Now that we have you here and your attention. I have one question. Why was it decided to go with brushed motors? Maybe just disguise the drone somehow. Try and imagine my wife's look when I told her I was going to go to drone school. now I'm in my second semester in the U AS program at my community college. She kinda tisks when I talk drone. She's getting used to it I think. Go to school for it all the new drones are for school now. Ha ha ha!! What exacly do they teach you in Drone School? Is it just the topics for the Part 107 (or commercial pilot exam), or do they teach you other things? I was a backer for the MicroDrone 3, so after that experience, I'm not going anywhere near the 4.0. It was super late and as soon as it arrived they announced an incompatible MarkII version that fixed all the flaws in the 3. So if you want to be a high paying beta tester, go right ahead. I sincerely wish I'd saved the 250+ (waited another year for the gimbal camera, that is sitting brand new next to me) and gone for a DJI Spark. I love small drones. I don't fly large ones anymore, just too complicated, and regulations will make it impossible in the near future anyway. So I think you are in a cool market nowadays. But while I love new drones I don't like vaporware or drone perks. Too many fails in this area, and for those that actually delivered (always late) the number of happy backers seems to be slim. Not saying this will happen with your drone but I'm just not a fan of this approach. Gimbals in small drones? Small drones crash. I crashed my Tellos literally hundreds of times, and not one of them is dead or needed repair from a crash. I can't see how your drone could survive this abuse. A fisheye like the Bebop has with a better lens may be a solution but no gimbal. The video quality of the microdrone looks very good - if it is unedited straight from a real microdrone 4.0 and not a fake. I'm not saying its fake, but you obviously played tricks on the Inspire part of the comparison video, so hard to believe you did not do so for the MD4.0 part. Following this argument I can downscale the Inspire's videos to 640x480 VGA and compare it with a $20 drone like Eachine E57. Calling this "like for like" is ridiculous. Also you are mistaken if you think $200 is super low budget. 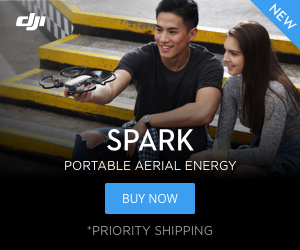 Tello is low budget @$79 when its on sale but $200 for a "Tello with Gimbal" is not. People just expect more from a $200 drone these days. MD4.0 is just not ticking enough bullets. Your only option would be to build an open SDK and create an enthusiastic following, like the Parrot drones have. I already mentioned a couple of other points in my previous post. Overall a nice drone on paper, but we will see what Micro Drone 4.0 is once its been delivered and tested. So many emotions all built up together, that I it got me excited! I liked that you came out of nowhere and created an account just to post your experiences here. Doesn't matter whether they were good or bad. No boys trips.... I spend my time with either my computer, my 5000 records I am copying to mp3 (takes forever), my drones, or... best of all, my Granddaughter Aria. Your grand daughter needs a drone to learn how to Fly. Just imagine her saying "Wake up Mantis". Isn't that cute? I guess you are busy, but if you don't have the time/resources to follow up properly it may be smarter to just do your job. Doesn't leave a professional impression. Just adds to the unprofessional image these technology crowdfunding projects have at least with folks who have a few decades professional experience in similar sectors - I guess millennial kids are easier to impress. I am awake, I am just poor presently. My wife gets the emails on her tablet. I received a caution about a new drone. We are just about to head to Northern Saskatchewan for a visit with the in-laws. I was going to bring my new Typhoon H to try out (Wide open spaces up there), but.... far too cold (-25 C to -42 C). Instead, i will play with my Tello. I purchased a couple of extra batteries and an extra set of props from London Drugs. I also ordered a 3 battery charger that has a display to show you how they are charging, but that won't be here or a month. (Slow boat from China, literally!). I purchased a zip up case that holds the Tello , 3 batteries, and the extra props and tool. I looked at getting a controller, but I am happy just with the app right now. I wouldn't take it outside yet anyway.Got to take care of my new baby! I'm a millenial. Why do Cenials hate us so? Not all of us are down on Millennial's. I have trained quite a few and they can be hard working and eager to learn. There are exceptions, but every generation has those. I think you are a generation above the Cennials, but thanks. My bosses are Cennials and they show their hate and blame all negatives of the world on Millenials. I am 56 years old. Things were different when I started. Jobs were more secure and long term. Many of our age don't understand that jobs are different these day. My Son works part time and has a business on the side. Couldn't find full time work. Got to go, leaving on our trip. Have a great day!